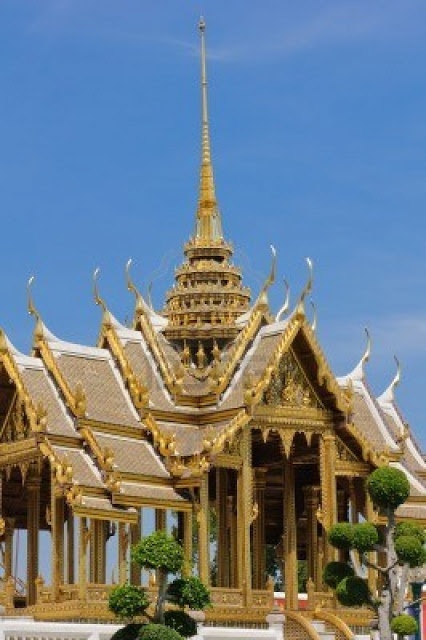 The Grand Palace is a complex of buildings at the heart of Bangkok, Thailand. The palace has been the official residence of the Kings of Siam (and later Thailand) since 1782. The king, his court and his royal government were based on the grounds of the palace until 1925. The present monarch, King Bhumibol Adulyadej (Rama IX), currently resides at Chitralada Palace, but the Grand Palace is still used for official events. Several royal ceremonies and state functions are held within the walls of the palace every year.